- Four-way tilt adjustment for a precise placement. - Its design distributes strong light consentrated over the music stand desk; reducing light dispersion. 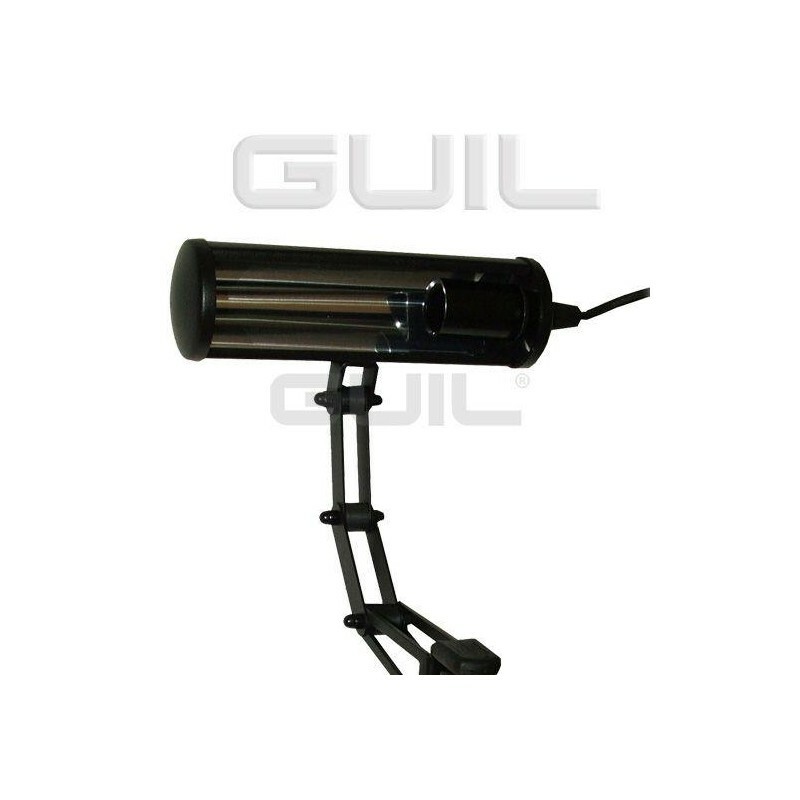 - It has a fitting for a tubular bulb of up to 25 watts (not included). - Provided with an earth wire safety system. 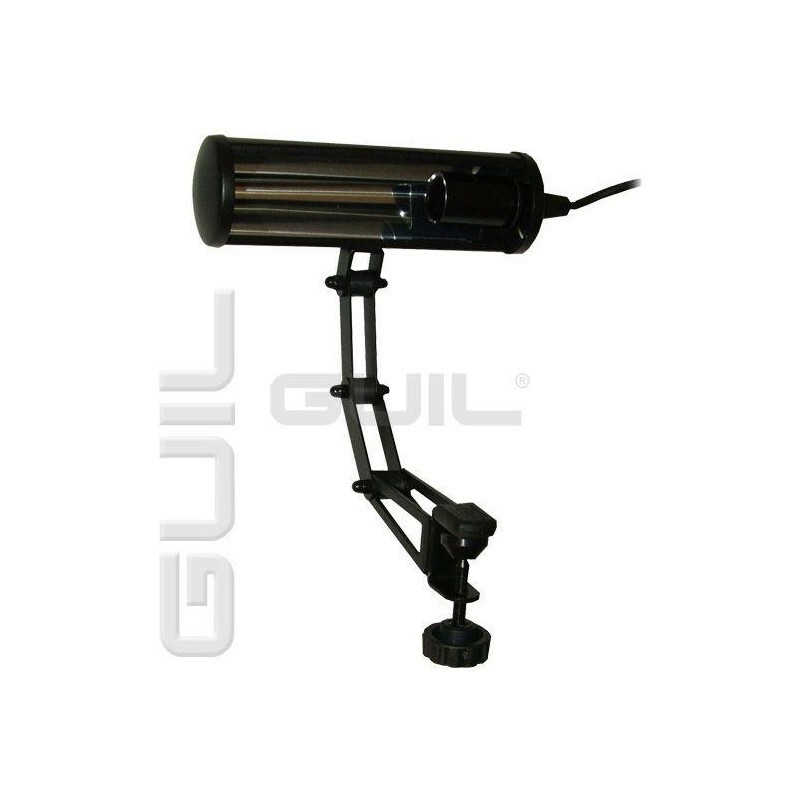 - Changing the bulb is made quick and easy thanks to its hinged design. 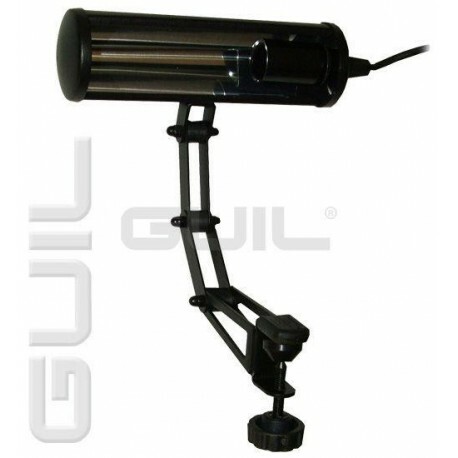 - It attaches easily to any music stand. - Provided with 1,5 m electrical cable with on-off switch and Euro-style plug. 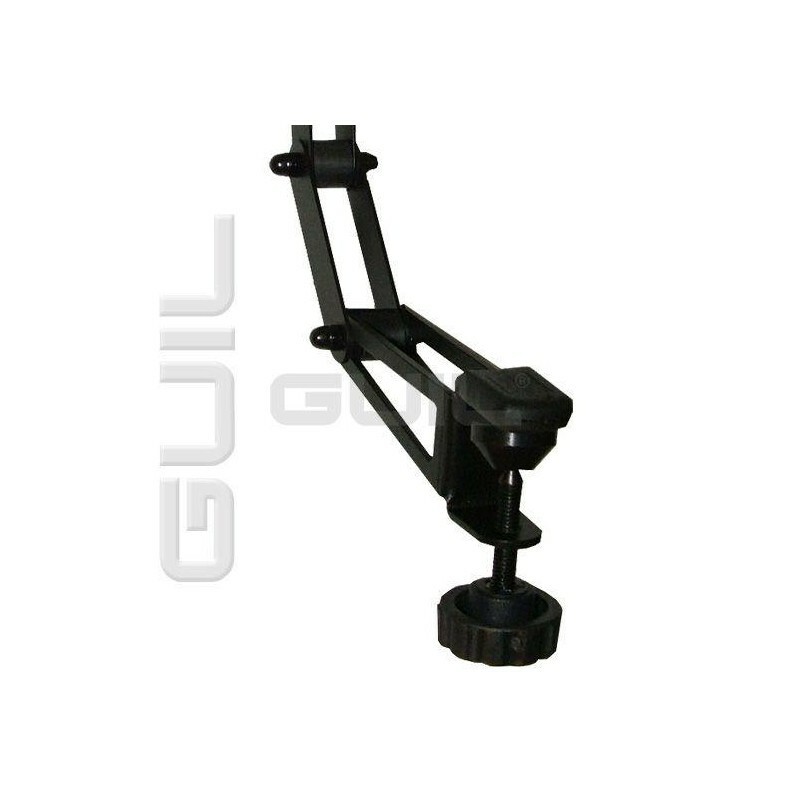 - Its clamp has a mounting plate to avoid damage to music stands. - Finished in a textured, black, anti-scratch powder coating.